I am pleased to announce that I have two more quilts—one finished and one in process—and then I’ll be down to zero jelly rolls. The end is in sight! To celebrate, I wanted to share how I used one of these last jelly rolls, in a log cabin quilt pattern I’ve named my Still Pretty Simple Jelly Roll Quilt. My finished quilt features Franklin by Denyse Schmidt; the mockups use one of her more recent lines, Washington Depot. 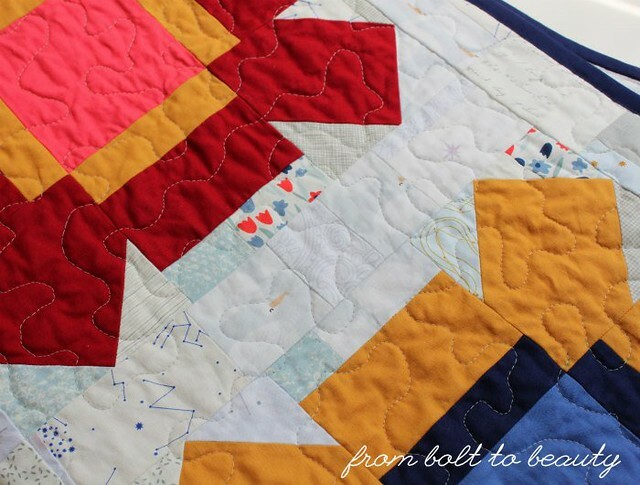 The Still Pretty Simple Jelly Roll Quilt is a fun—and super easy!—way to sew through a jelly roll. For instructions on how to sew your own, see the accompanying tutorial. 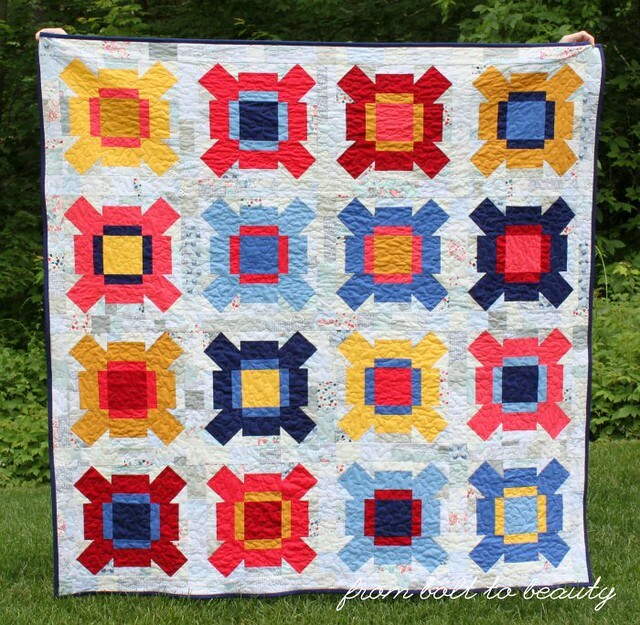 This is one of the four quilt designs you can make with this tutorial. *This measurement does not allow any room for error. If you prefer, buy 1¾ yards to allow for a mistake or two in cutting. Finished size is approximately 56" x 64". All seams are a scant ¼". WOF = width of fabric. These instructions presume a 42" WOF. Please read all of the instructions before beginning your project. Please note: The lettered labels that follow correspond to the labels used in Sewing the Log Cabins. For any of the four designs below, you will need 8 of each orientation. 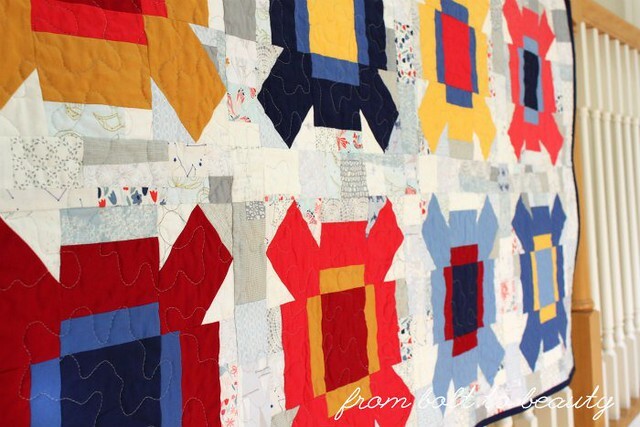 To assemble a block that orients to the left, start by sewing an A piece to a B piece. Press the seam open. Add the C piece to the block, working clockwise. Following the picture below, sew on the remaining logs. 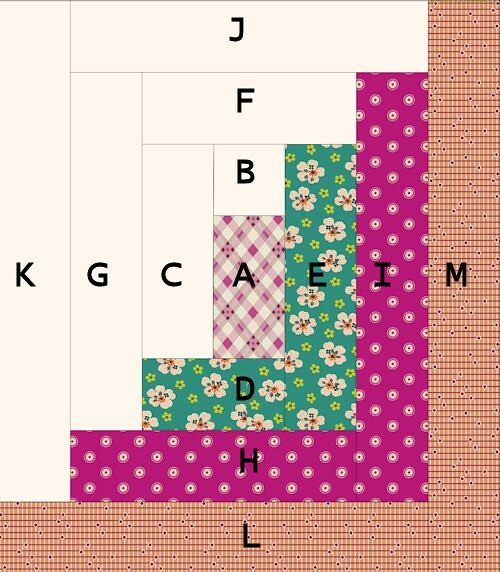 To sew a right-oriented block, sew the same pieces counter-clockwise around piece A. The unfinished block size is 14½" x 16½". Once you have completed 16 blocks and decided which design you want to make, sew the blocks into rows and then sew the rows together. 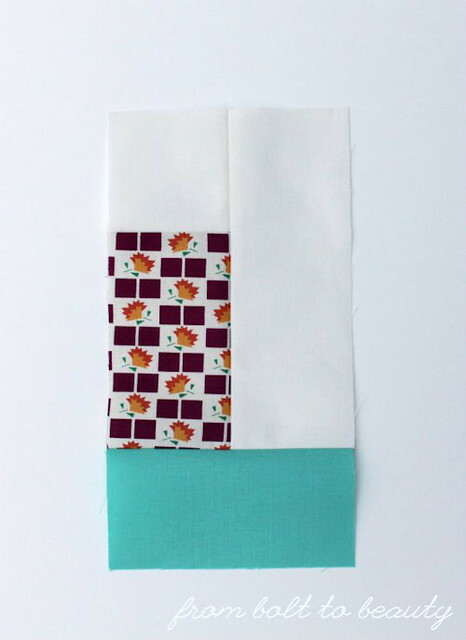 To make the backing, cut your 3½ yards of backing fabric into two rectangles: 63" x WOF. Sew them together along the long side. Trim down to 63" x 70". 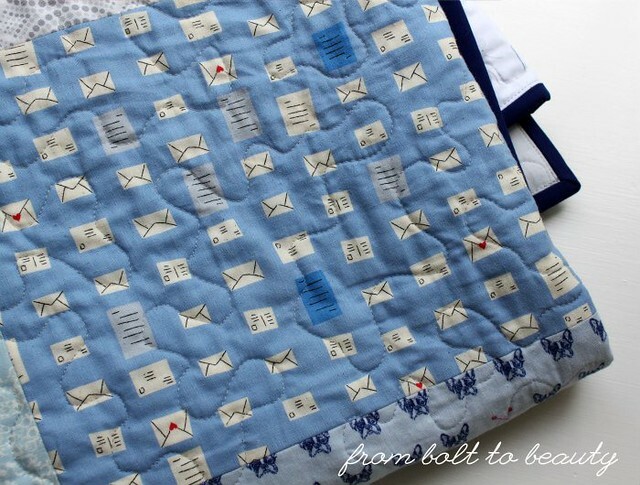 Quilt, bind, and enjoy your quilt! It’s important that you use an accurate scant ¼" seam for this block to achieve the unfinished block size of 14½" x 16½". I love chain-piecing, but to avoid making silly mistakes, I sewed just two blocks of the same orientation at a time. 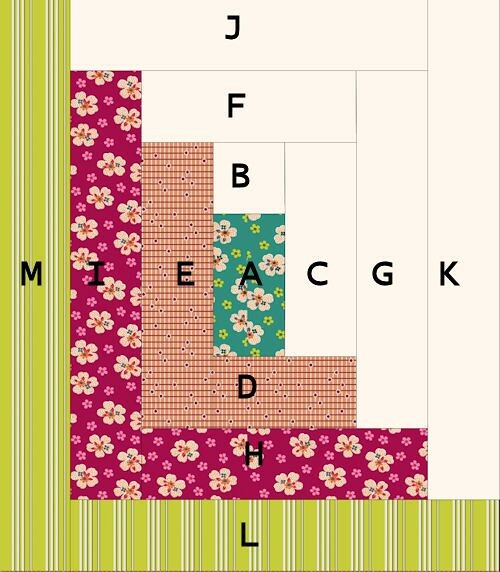 I’d lay the pieces for each block out on my sewing table, and then sew both A’s to the corresponding B’s and so on. You, Too, Can Sew Improv! 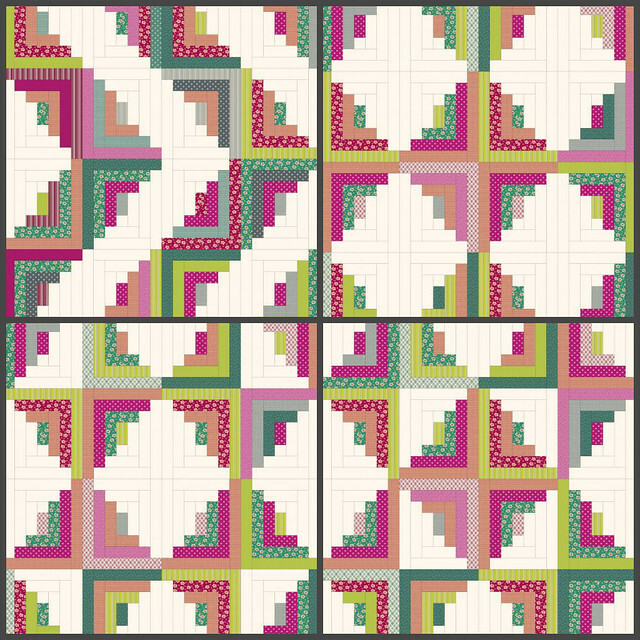 Bloom Chicka Boom, my first improv quilt. There was a time in the not-too-distant past when I thought improv was a magical kind of quilt making. 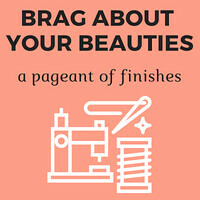 It was beyond my skill set and best left to the masters—Victoria Findlay Wolfe, Sherri Lynn Wood, and other sewists known professionally by three names. At that point in my sewing career, creating without a concrete plan seemed hard and inefficient. How did I know whether I was going to like my finished product? 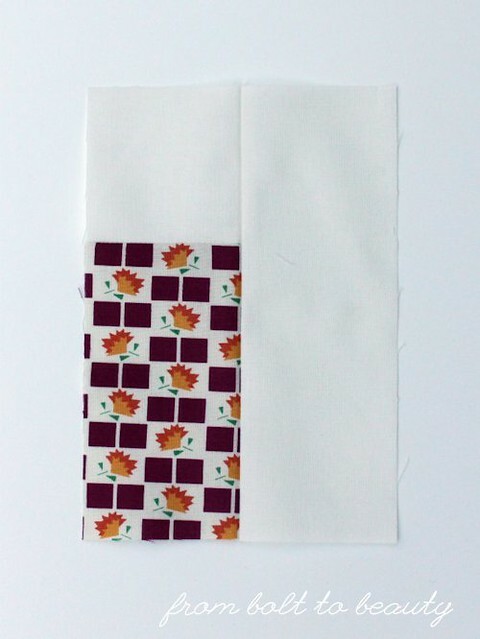 The idea of wasting my time and fabric on a project that I might not love was unappealing. 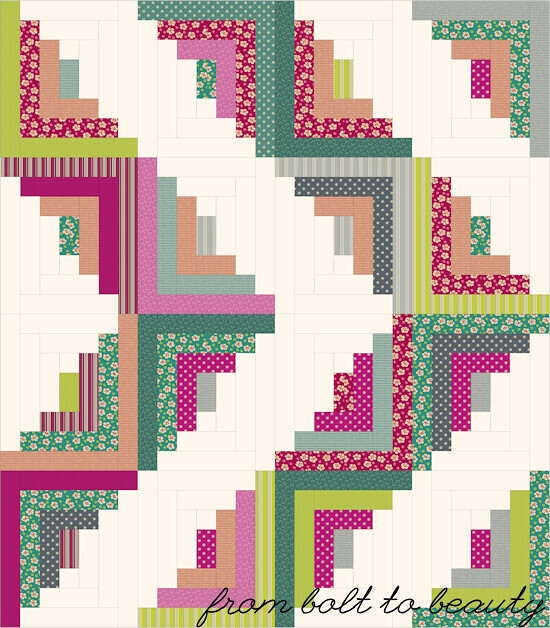 The difference for me was the instructions set out in Stash Statement, a new book by Kelly Young, of My Quilt Infatuation. Kelly approached me a few months ago about participating in a blog hop for her book, and I agreed to it with some hesitation. I am happy to report, however, that Stash Statement has helped me conquer my fear of improv, and it has the potential do the same for you, too! 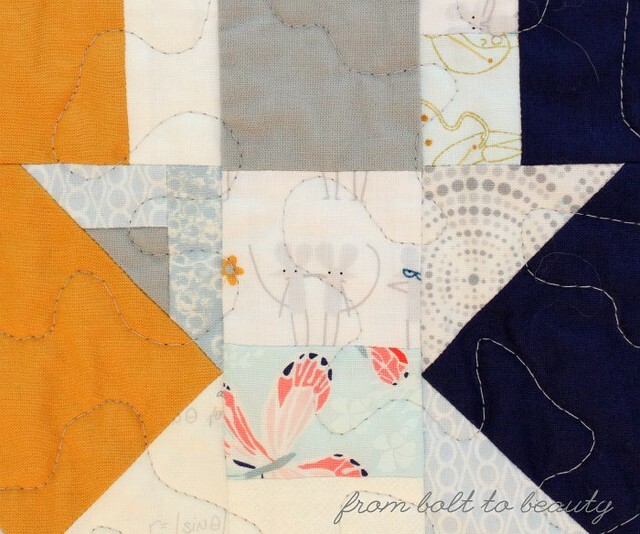 Creating your first improv quilt can seem daunting, but having a framework makes the task manageable. And that is exactly what Stash Statement provides. Following Kelly’s advice, you learn how to sew improv panels, blocks, or strips and incorporate them into patterns. In other words, Stash Statement marries what’s scary and new (improv) with what you already know and love (bold, modern patterns). Bulldogs, curlicues, flowers, ducks ... this background has it all! The variety in the background prints creates great texture. 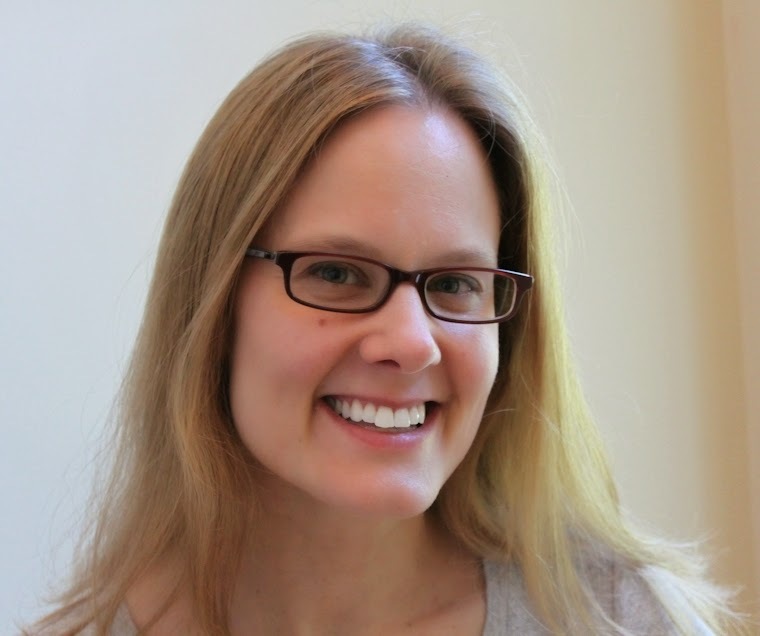 When I first received Kelly’s book, I had just given away the majority of my scraps. Lucky for me, Kelly addresses using yardage in improv piecing. You’d never know that almost all of my low-volume fabric choices came from yardage in my stash. There’s such a great spectrum of fabrics, including many novelties that were aging in my fabric drawers for years. It felt good to get those beauties out of my stash and into a project. I spy Lizzy House’s constellation prints from her Whisper Palette. Something to keep in mind is that you don’t have to be super legalistic about this process. After all, it is supposed to be a fun opportunity to use what you have on hand. 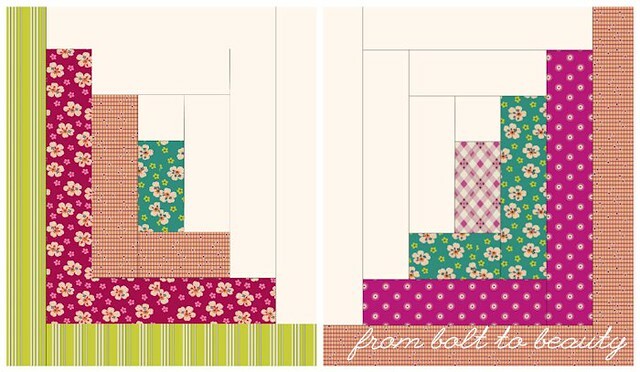 Bloom Chicka Boom calls for sewing improv panels and then cutting them down into smaller sizes for use in the blocks. When I found a stack of low-volume 2.5" squares in my stash, I could have sewn them into panels and then cut them back into 2.5" squares, but I used them as is and they look great in the quilt. 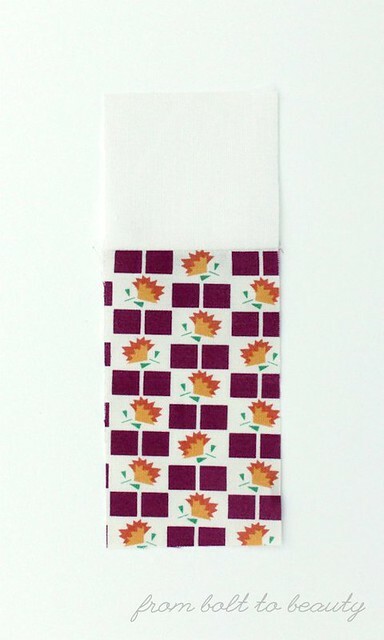 The Bloom Chicka Boom block also calls for 1.5" by 4.5" strips. Since I was cutting from yardage anyway, I simply cut 1.5" strips of varying lengths, sewed the short ends together, and then cut them into the needed 4.5" lengths. You would never know by looking at my finished quilt that I took a shortcut. I love these chummy little mice! 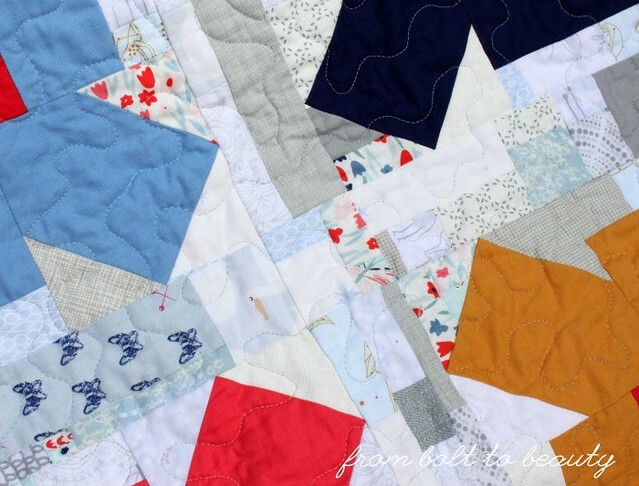 Your finished improv quilt top may have some spots where the seams are bulky. 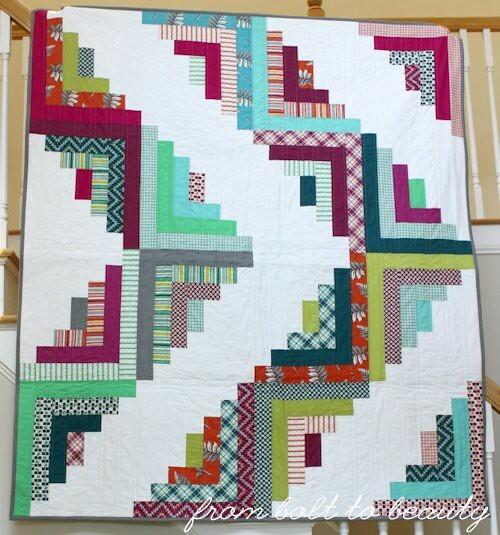 I didn’t want to quilt not-so-straight lines through any bulky areas, so I chose to free-motion quilt my project. Granted, I didn’t know how to free-motion quilt at the time I made this decision, but I thought it would be more forgiving. 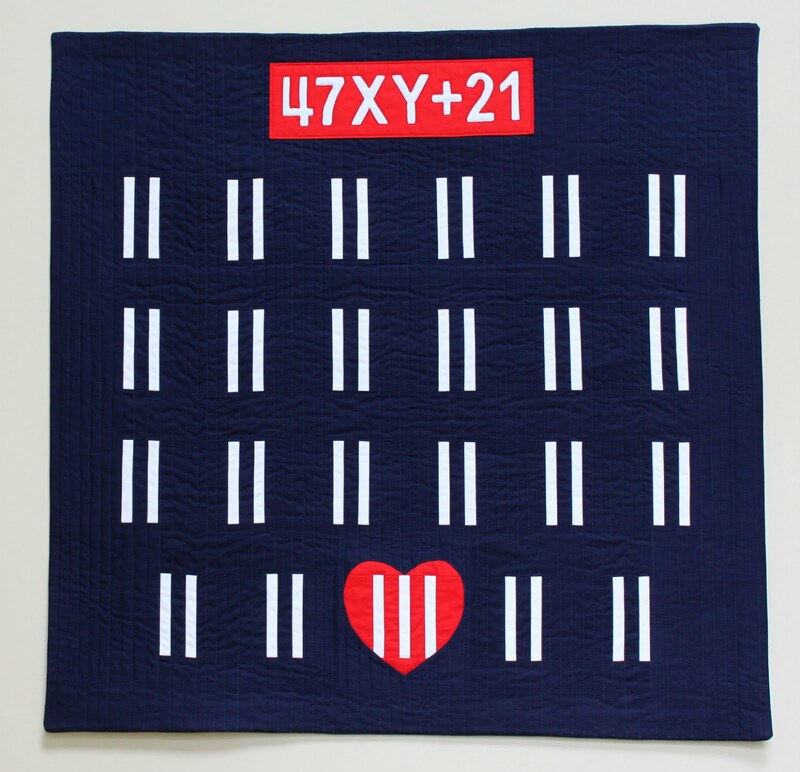 In the end I figured out how to FMQ, and it worked well for me with this project. The one issue I did not foresee is how the bulk would affect my binding. I machine-finish my bindings, and I wish I had given myself more wiggle room than I usually do to compensate for that extra bulk at spots along the edge of the quilt. 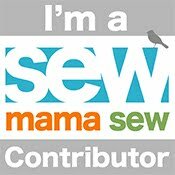 If you have sewn something improvisationally, how did it go? If you’re new to improv, are there other concerns that are preventing you from making the leap? The back features prints in the same palette as my improv background. Now that I’ve covered improv, I need to tell you all about my adventures with FMQ! Stay tuned for a future post on that subject.